Electronics maker E Fun has announced that it will be showing off its first quad core tablets at CES 2014. The tablets will include the Nextbook 8 and the Nextbook 10. Both will run the Android 4.2 operating system and have full access to Google Play for apps, movies, and more. The tablets will also feature narrow bezels. 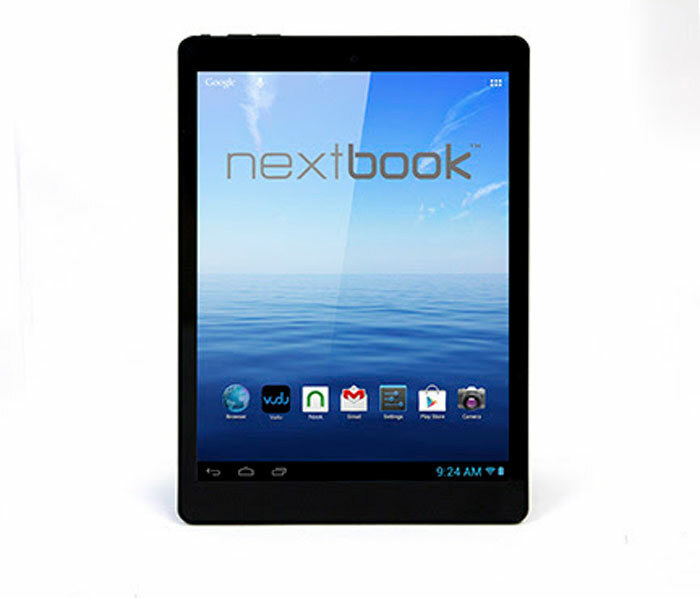 The Nextbook 8 has a screen measuring 7.85-inches and a resolution of 1024 x 768. The Nextbook 10 has a screen measuring 10.1-inches with a native resolution of 1024 x 600. The Nextbook 8 has 8GB of internal storage with the Nextbook 10 having 16GB of storage. Both of the tablets use a quad-core 1.6GHz Cortex A9. The tablets also have 1GB of DDR3 RAM and come preloaded with apps for VUDU, Flixster and lots more. The tablets also have a 2MP rear camera and a 0.3MP front camera. Power for both comes from rechargeable lithium ion batteries and the tablets have built-in WiFi. The Nextbook 8 will sell for $129.99 with the Nextbook 10 selling for $149.99. Both will be available in Q1 2014.